It is one of the toughest races in the world – from sea level to the 4,406ft summit of the UK’s highest mountain Ben Nevis and back. The event took place again on Saturday and was won by Finlay Wild of Lochaber Athletic Club in a time of 1hour 30mins and 56seconds. But what made the race remarkable was that the hundreds of runners were started at Claggan park by Kathleen Macpherson nee Connochie who 60 years ago, became the first woman to compete in the gruelling event when aged 16 in 1955. Her trainer was the late Fort William butcher Duncan MacIntyre, who was a former race winner and veteran sportsman who lost an eye playing shinty. He later became the honorary life president of the Ben Nevis Race Association, until his death in the 1990’s. Today the Connochie family name is still associated with the Ben Nevis Race, as each runner who manages to achieve the incredible feat of completing 21 Ben Nevis Races, is awarded the coveted Connochie Silver Plaque, instigated by Mrs Macpherson’s father and presented each year by Mrs Macpherson. 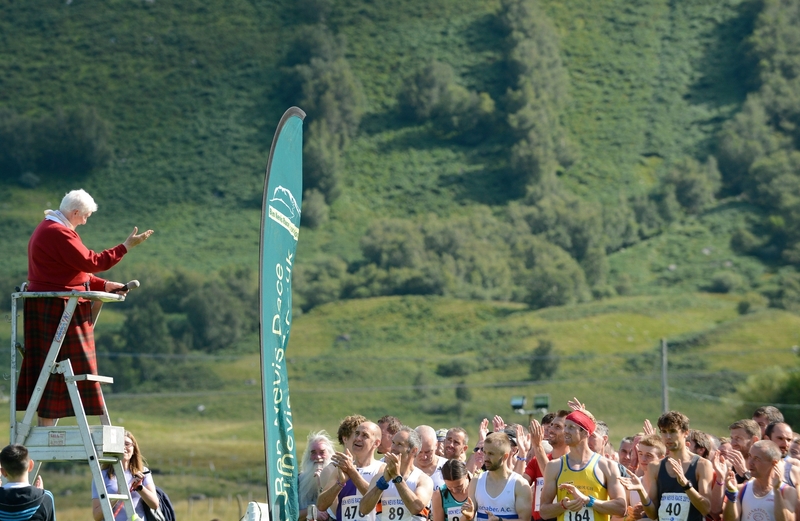 She remembers well the excitement and adulation of becoming the first female to complete the Ben Nevis Race, a feat that saw her name entered into the Guinness Book of World Records, with her time of 3 hours and 2 minutes from the Old Fort William Town Park. Indeed she believes that her race time will never be beaten as the race now starts from Claggan. 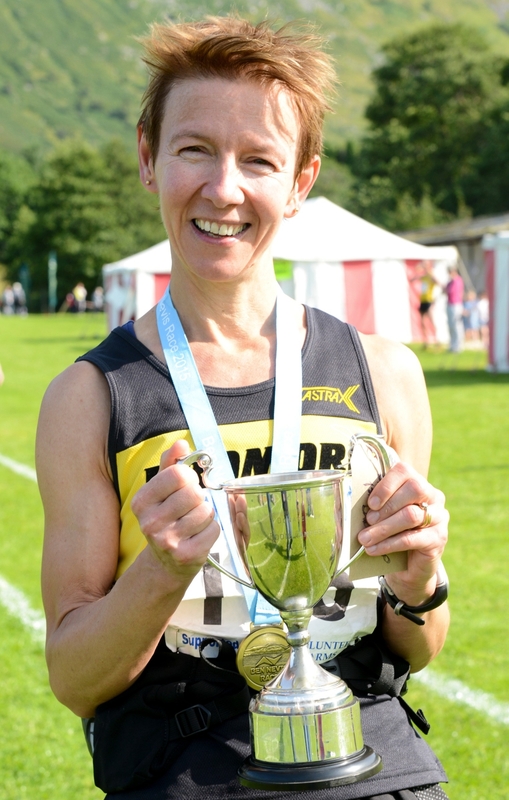 Mrs Macpherson is proud that her run made the Amateur Athletic Association sit up and take notice and finally allow female contestants to fully participate in amateur athletics and our gruelling hill races, something all female athletes have benefited from since that remarkable day in 1955. Mrs Macpherson was always keen on sport including badminton and tennis, and at the age of only 13 she swam the 1mile distance across Loch Linnhe at Fort William. She said: “I fired the gun to start the race so that was a great honour. “I dont remember the race being particularly difficult, but I was young then. 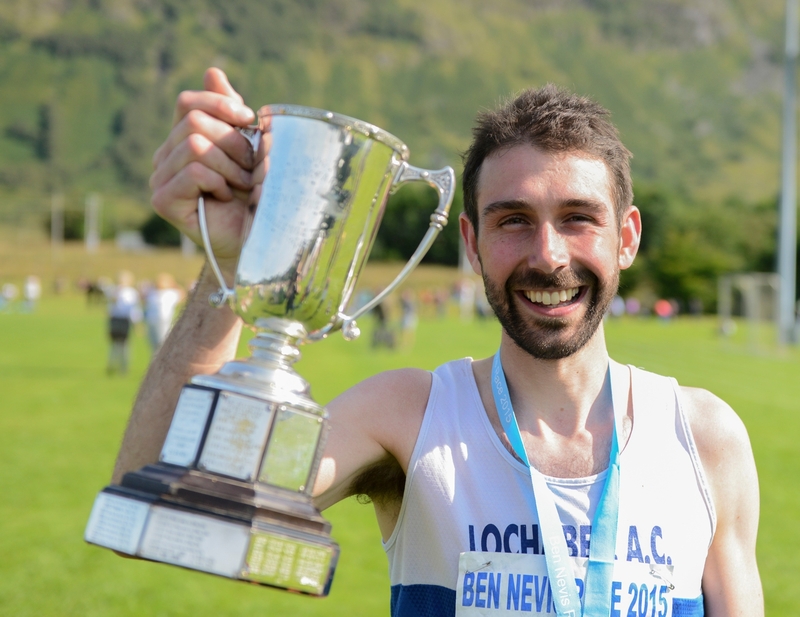 Finlay Wilde Ben Nevis Race Winner 2015 has now racked up six victories in a row.